We love the beach (you may have guessed this already), and we have our beach bags ready to go with all our essentials, all summer. 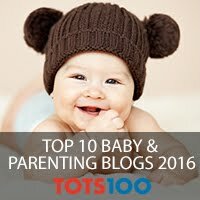 I can grab the bags, hang them on the buggy and just go which is perfect when you have two toddlers in tow! 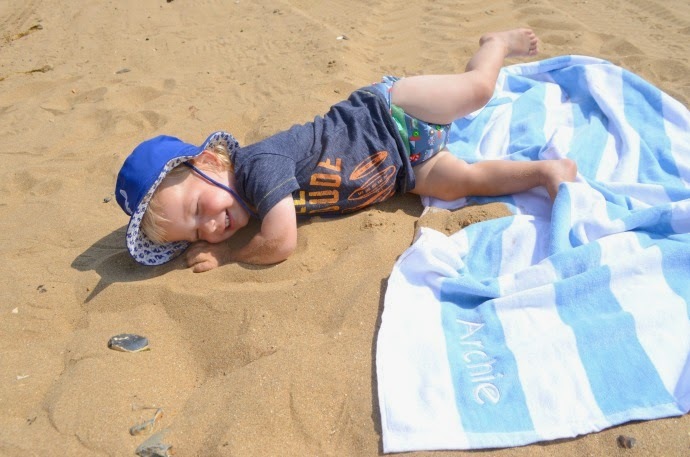 We have been sent some lovely bits which have found a permanent place in our beach bags, the first of which is a pair of personalised towels for the boys from Stuck on you. Dylan isn't keen on the sea, but Archie would just dive in if left alone, and we love a good paddle, watching the waves cover our toes. 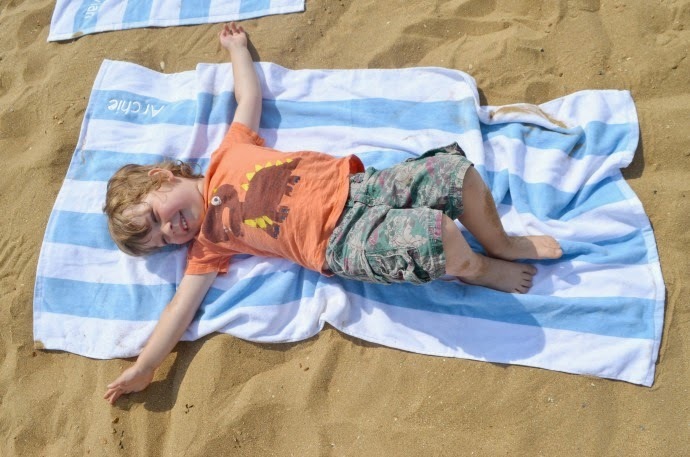 Even without water, the beach often calls for a towel - somewhere to sit, something to wrap around us to keep warm and something to rub off the sand (although our house is still permanantly covered in the stuff!). 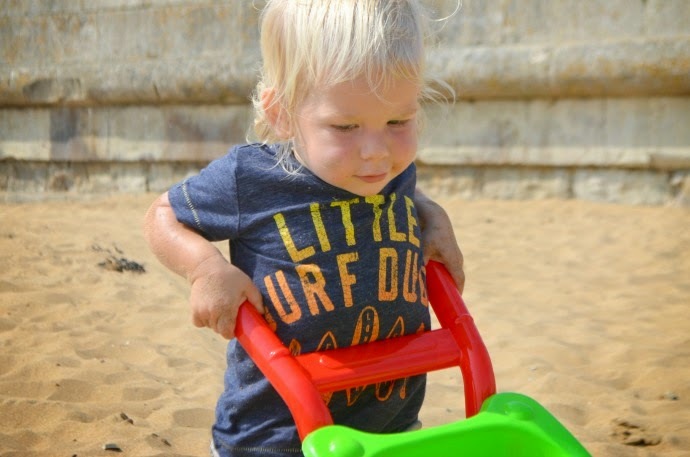 Included in our beach bags are plenty of toys, with Dylan's favourite being his blue sandcastle bucket, and Archie loving the wheelbarrow. 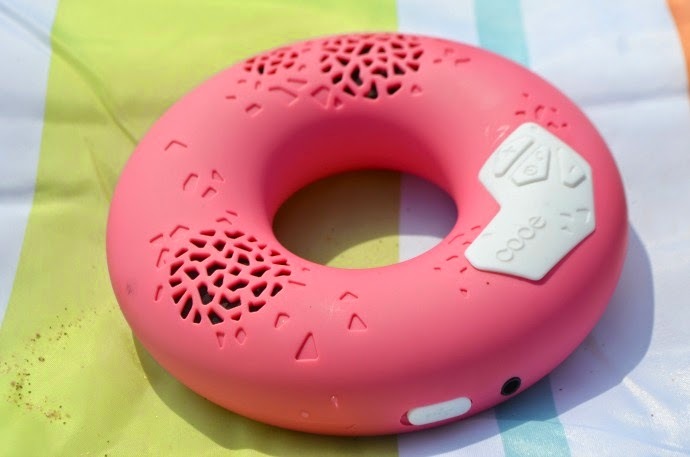 We like a bit of music at the beach, especially when we go down after the bloke returns from work, and this donut speaker is perfect. 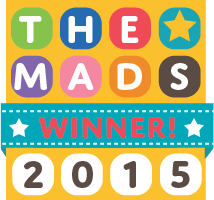 It works wirelessly using bluetooth from a phone or other device and has a great battery life. It comes in lots of colours but I couldn't resist pink. 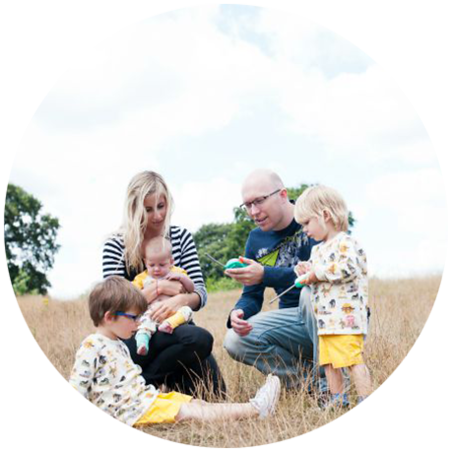 Our final 'must-pack' is a picnic blanket, as we often end up eating down the beach for either lunch or dinner, and this JJ Cole blanket is perfect for my messy toddlers. 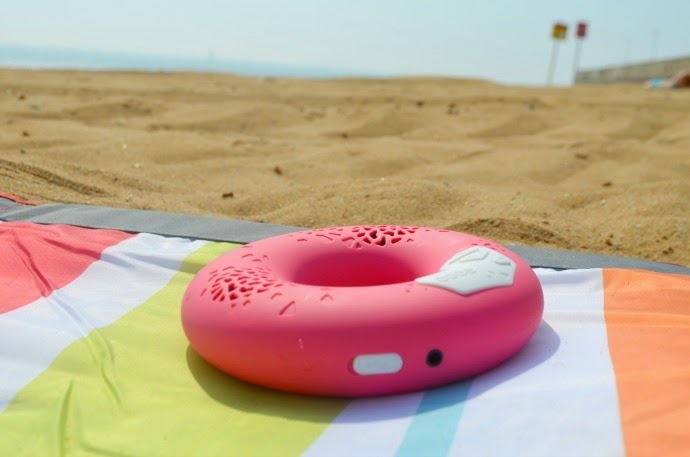 It folds up into a bag with a long cross body strap and a little pocket and is completely wipe clean - a function that has been well tested with multiple drippy ice creams! 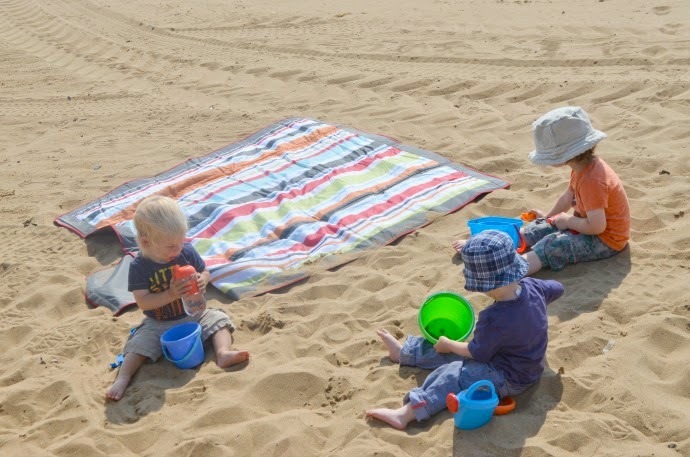 Along with plenty of water, sun screen and buckets and spades, these are our summer beach must packs. 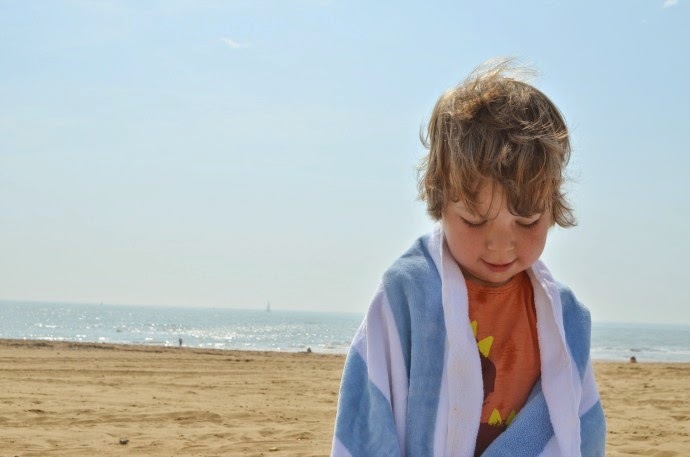 I so wish we lived nearer the beach. I love being by the sea but it's about an hour's trek for us from here. Still doable, really. I shouldn't be so lazy. Love the towels. My two were given towels with their names embroidered on from the hospital where they were born. I'm not often sentimental but I've kept them hidden away. They're lovely. 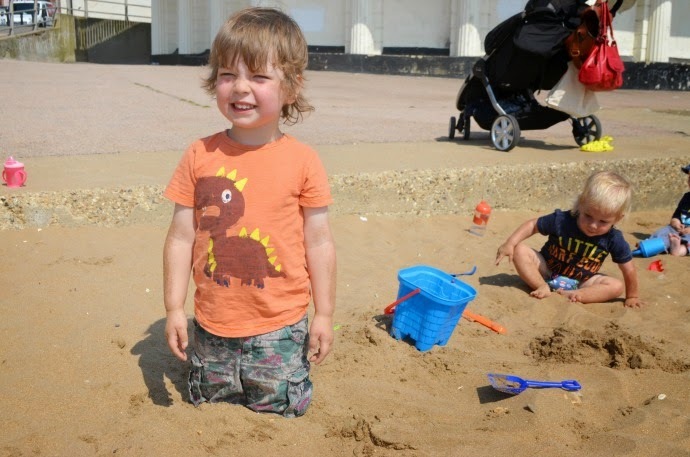 Oh how blissful to live so near to the beach - I really miss the seaside, it was such an intrinsic part of my childhood, it feels odd to be without it, especially in the summer. 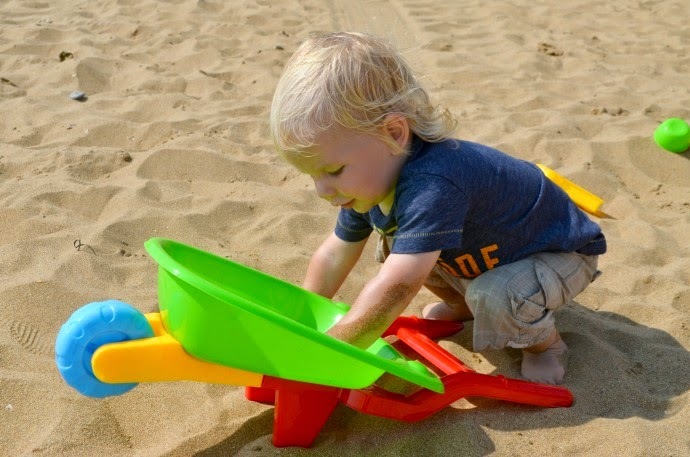 I love that the wheelbarrow is a beach essential - just the thing for making giant sandcastles!